The Barrick Gold-Randgold merger made headlines last year for creating the world’s largest gold miner. 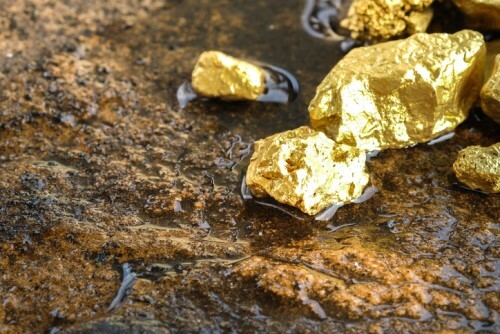 But after a Monday announcement from Newmont Mining that it has agreed to acquire its Canadian rival Goldcorp, there will be a new entity dominating the industry. After years of disappointment, gold bugs may finally have something to be excited about again. Creating bigger companies with more market power makes sense, especially in a fragmented industry. That’s not to mention rebounding US inflation, which is usually a lifting force for gold prices. Taplin acknowledged that core inflation is likely to go higher this year; it has historically lagged private earnings growth, which has been hovering at roughly 3% for months. But gold prices are down by around a third from their near-US$1,300 per troy ounce peak, while the costs of mining the metal have been rising unabated as it gets harder to find and unearth. “Barrick’s operating margins, which were nearly 50% in mid-2012 according to FactSet, were barely half that in late 2018,” Taplin said, adding that other miners have also seen large declines. Based on data from Wind, demand from China and India, the two hungriest consumers of gold, has plateaued since 2013; European and US demand has been nearly flat for years. Is gold set for a renaissance? The real estate investment to swerve rate volatility?